US Federal Government employees, including (but not limited to): US Military, USDA Forest Service, USGS, HSA, US Fish & Wildlife Service, NOAA, BLM, National Park Service and BIA. Usure if you or your organization is eligible for GSA pricing, please contact us or give us a call at (253) 922-5000.  You can also visit GSA Advantage for a complete list of authorized GSA schedule contract users. Orders must meet a minimum $100 of GSA contracted items. Only GSA contracted items have the discount applied. If you don't think you can build an order up to the $100 minimum, we recommend you buddy-up or go to the GSA Advantage website for processing. WHICH RITR PRODUCTS CAN I PURCHASE? Once you have logged in using your GSA account, click on GSA PRODUCTS in the "product sidebar". Most Rite in the Rain GSA products have an NSN number associated with them. Download the 2013 NSN Product List (pdf 1.8mb) for a complete list. You may also order directly from the GSA Advantage website. DO ALL GSA PRODUCTS SHIP FREE? Only GSA items ship FREE to conus and APO/FPO addresses. All APO/FPO orders will ship via the US Postal Service. The $100 minimum order must be met in order to receive free shipping. If your order falls below the minimum you will be charged retail product prices, plus shipping. GSA login continue to the "Get Started" page.